A few of you who may have been following me for many years may remember my blog Fourth Floor Walk Up, which I started in 2009 when we moved into a fourth floor walk up apartment on located on the Upper East Side in New York City. It was a small space - 425 sq ft in total, but I was super excited to make that space our own home at the time, with my modest college student budget and Jack’s skills as a finish carpenter. 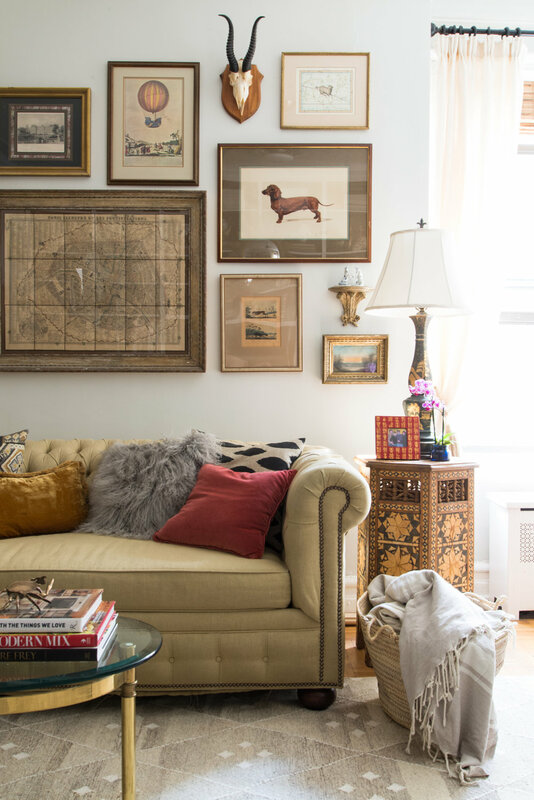 In the past decade we moved from the UES apartment to a 675 sq ft apartment in Brooklyn. It was also on the fourth floor (although there was an elevator, shhh) that I continued to blog about until we moved to Seattle in 2016. Fast forward, we just purchased a 2500 sq ft home in Seattle that I’m again extremely excited to make my own and share the remodel process of along the way. I’m planning to do things similarly in terms of documentation but now in 2018 there are more means of communication and more platforms so I’m also planning to utilize each platform to its fullest. I’ll be posting on instagram, sending newsletters and writing on here, which is where I’ll be developing the story to its greatest depth, with the most photos of the process. I promise you, my intention is that with each platform I will relay the information differently and hopefully provide different content. Your duty in this process, is to please join in on the conversation, you are more than welcomed to comment and ask questions. Check back soon, and check back often and please, oh please keep me accountable. I write and document because I enjoy but also because of the feedback I’ve received through the years. I know everyone loves a before and after but also everyone loves to learn about the process along the way. This will be long term, I promise you. We are real people, with real budgets that want to make a home that is custom, beautiful, personal but also realistic in terms of the way we live. I will admit, we come with a slight advantage, myself being a designer and my husband being extremely handy, but if we can lend informative tips and advice along the way to help those that are less fortunate in these areas than us, we will be doing that!